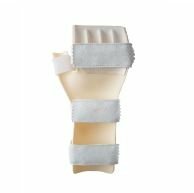 Hand Resting Splint helps to keep the wrist and thumb in a neutral position by countering finger flexion so as to prevent pain and muscle contracture. Hand Resting Splint is given in cases of spasticity and contracture due to CVA (cerebrovascular accident or commonly called as Stroke), and cerebral palsy during the night. 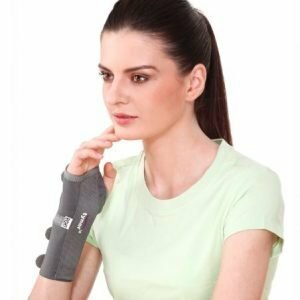 Hand Resting Splint immobilizes, protects and support inflamed and painful joints and tendons. 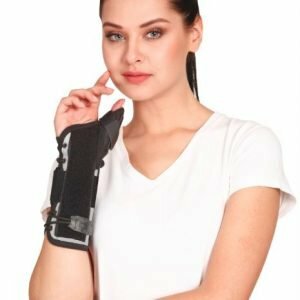 Hand Resting Splint is designed to reduce pain and swelling by providing comfortable support and immobilization in the natural position to joints of the hand and the wrist. 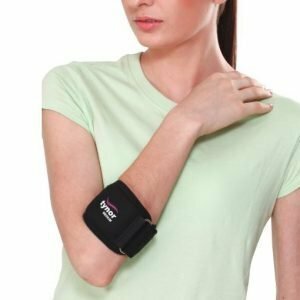 It reduces irritation of nerves in the carpal tunnel by supporting and resting wrist in the “loose pack” position. It maintains the length of soft tissues thus prevent contractures. Molded from high quality rigid polymer, it is lean, light in weight, lean but robust with very high strength. It is easy to clean and maintain. It has an anatomical shape. 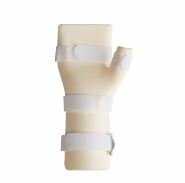 It immobilizes the hand in functional position during recovery, It evenly supports the hand, thumb and forearm. Innovative Finger Separator is molded from high quality foam. It is soft cushioned for enhanced comfort. It keeps the fingers separated in burn injuries. It is removable and washable. High quality tape fasteners ensure a long life of the product. Soft padded sleeves provide comfort & a nice feel. Free strap length available to cut & suite individual arm size. Easy to wear and remove.